Ah, well. Let her have them. So, vampire or rabbit or vampire rabbit is what I am looking at? 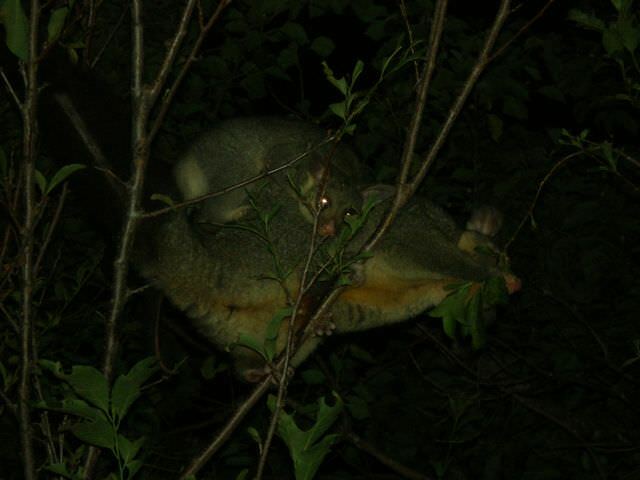 Australian marsupial possum, and baby. I believe they live in the big old camphor laurel, and it's possible to cross from the camphor to the plum then to the mulberry and finally the pomegranate without touching the ground. So she's probably also responsible for the destruction of my pomegranates. 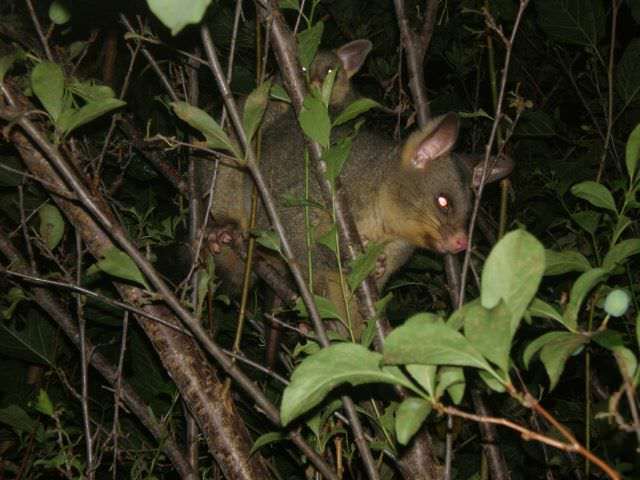 I'm pretty sure it's a Drop Bear.